Track your steps, watch your progress and beat your friends. 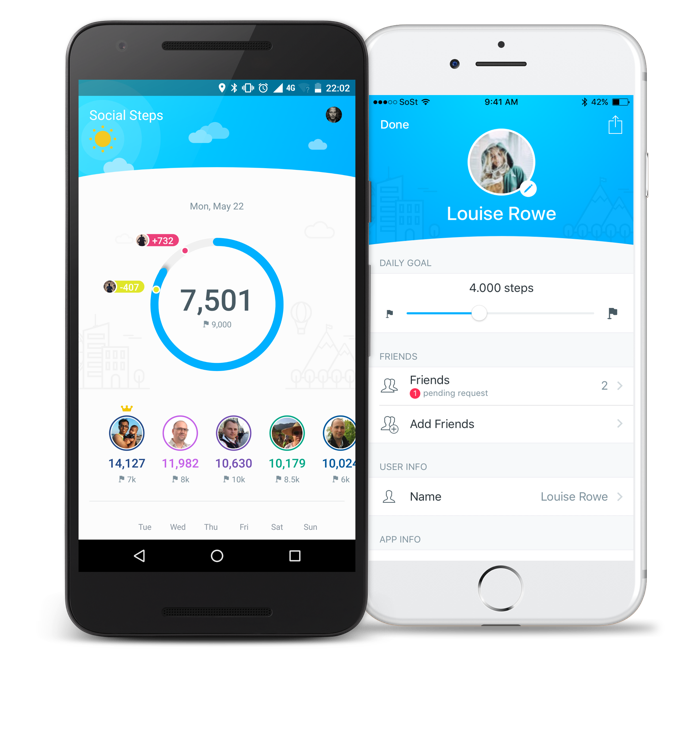 Choose the number of steps to walk each day and let us track your progress. Add your friends and see who is meeting their goals. Walk your goal every day and let your friends push you further. Walk more than all your friends. Who will get the status as top walker? Tell us your story. We love to hear about your success. We do the work, you do the walking. 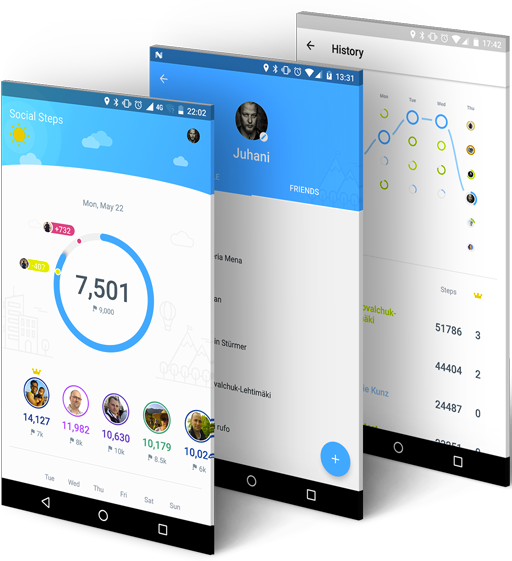 The app uses your phone's built-in capabilities to count each step. No need to configure, calibrate or start the tracking. It just works. Add your friends using Facebook or simply by sharing a link via your favourite social media or messaging app. Challenge yourself and your friends. 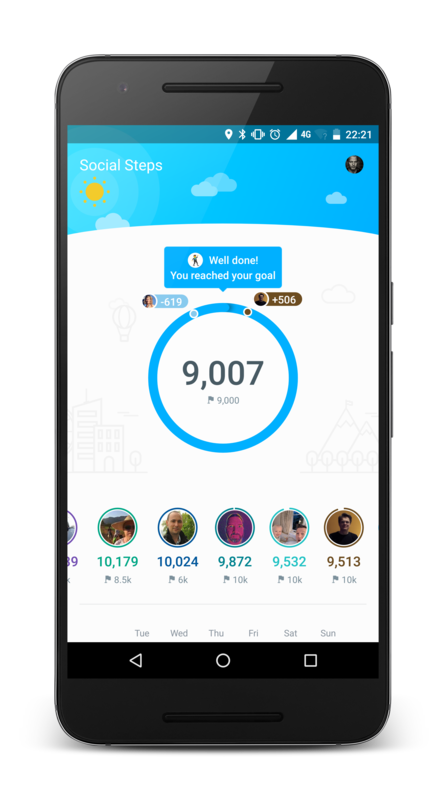 Beat your daily goal and beat your friends at the same time. Use the app to help motivate to succeed to be more active and healthier. Drop a line & we will be in touch!